I love hair pins! they are so versatile and can match any wedding day look. 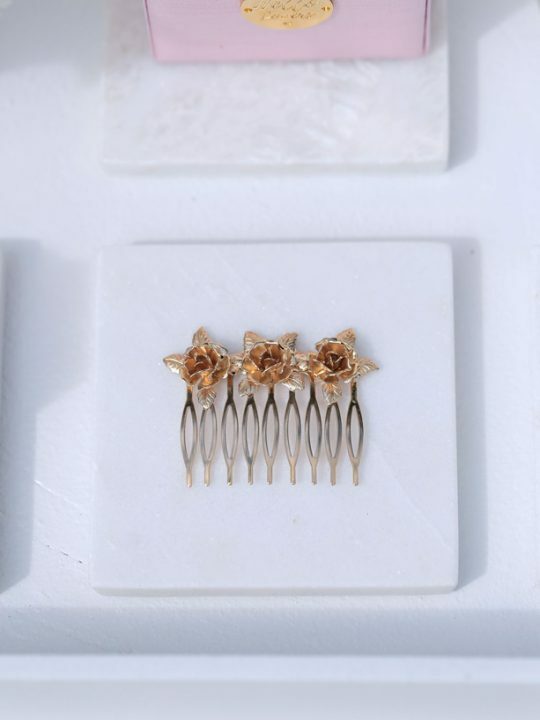 These simple flower hair pins will totally come in handy for events after your wedding day too. 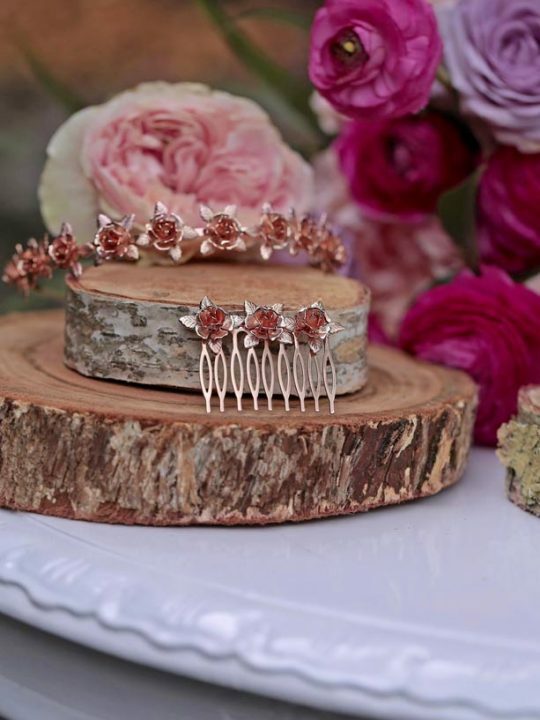 Just a sprinkling of simple flower hair pins in your hair is all that you need! go all one colour or a combination of gold, silver or rose gold. Mix with real flowers for a romantic island wedding ceremony. 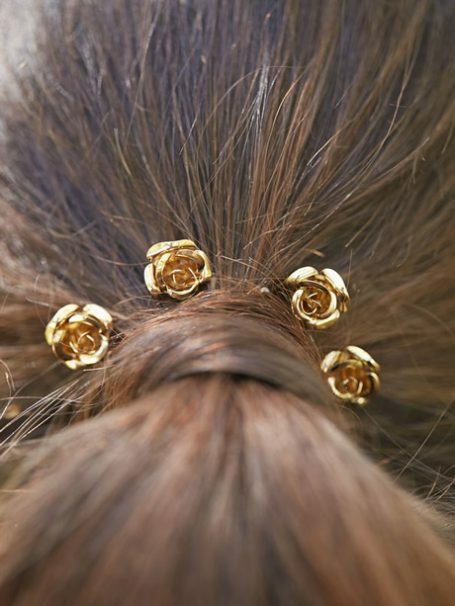 Suits an updo best where the prods of the pins can wedge in to your hair. Mix together with the Sydney hair pins, if you dare ;). Check out the rest of the Melbourne wedding jewellery set. Come in gold, silver or rose gold. Wear one or more at a time. Scatter where you want in your hair. Beautiful wedding or bridesmaids gift.